After much anticipation and planning over the past few months, the Student Gardens Market Cart re-bloomed in the Quarry Plaza on Friday, February 26th. 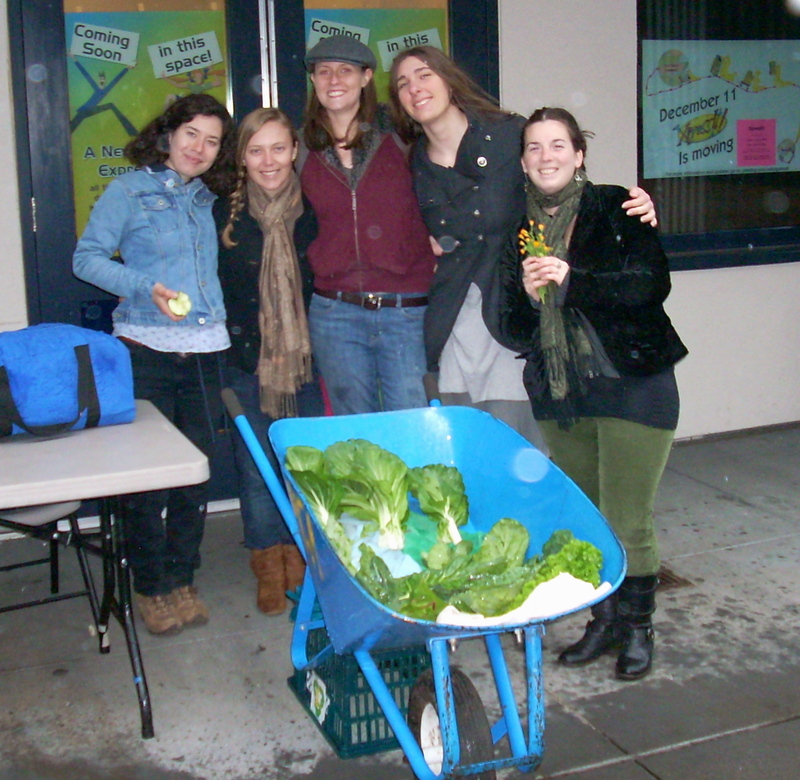 Students from PICA and the College Eight garden rolled up their sleeves and braved pouring rain to harvest some of the fruits of their labor (well, winter herbs and greens, to be more precise) and share them with the UCSC community. The idea to revive this past PICA project stemmed from last year’s daunting task of co-writing a grant proposal to the Campus Sustainability Council. From the tide of old grant proposals and project descriptions that then-PICA leaders sifted through to find inspiration, snippets and photos of an on-campus Foundational Roots Co-op market cart rose to the surface. We were so intrigued! How awesome must it have been to use our handfuls of strawberries and bundles of collards to introduce fellow students to the joys of local, organic food grown equitably and sustainably by their peers? Far more compelling and fun than circulating flyers and petitions in Quarry Plaza, I suspected. Why on earth weren’t we doing this anymore? 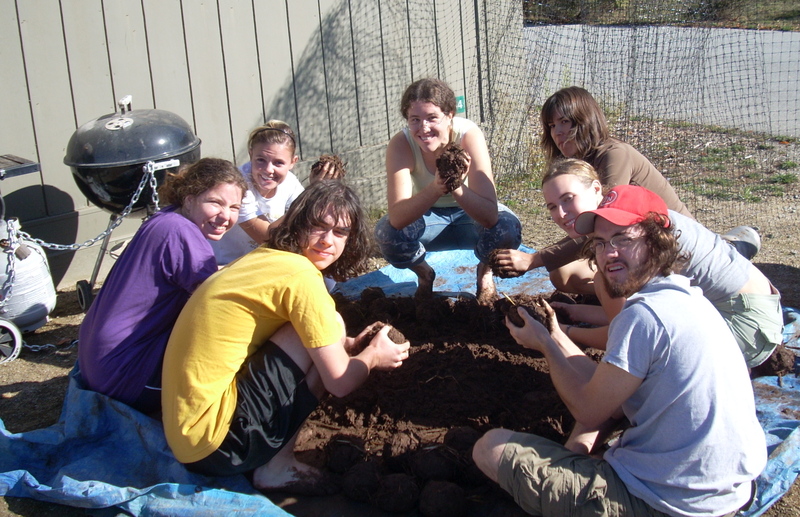 Well, as part of my work with PICA this year, I’ve set myself to bringing back this great project and refashioning it so that it can serve as an opportunity for collaboration for all of UCSC’s student garden communities. With input from old marketeers (thanks, Jodi! ), fellow student gardeners, and Moti Phillips (who runs CAN’s crackerjack Downtown Farmers’ Market stand), I’ve put together plans for a series of spring Market Carts sprinkled all over campus. As in the past, we will offer all of our garden goodies on a voluntary donation basis so that any student, regardless of income, can get a taste of what we do. With plenty of produce and starts donated from campus gardens, and grant money freshly gifted from the Campus Sustainability Council, we should have an easy time keeping this project as low-cost as possible. If the test-run of the market cart last Friday is any sign of things to come in the spring, then I gladly look forward to the new season. Even during an hour in the pouring rain, students from all walks of campus stopped by our table, ogled at the potted succulents we had for folks to take home, and chose their favorite bundles from our produce-laden blue wheelbarrow to snack on later. Many lingered to talk with the student gardeners running the cart about their own garden and community experiences and how they could get involved with on-campus student gardens, and some gave very generously to our donations fund. The excitement and camaraderie I saw among the students was just as heartening for me. Soaked as we were, we met the crowds and each other with smiling faces, banjo tunes and handfuls of lavender and calendula. I can only hope that this joyful and generous spirit will come again in springtime. Comments Off on New Market Cart premieres! Participating in the PICA program has been a wonderful experience that has helped me expand and apply my knowledge about community and sustainability. PICA creates an open environment that encourages students to share their knowledge and experiences with each other to build a community. Whether it be working together in the Foundational Roots Garden or preparing for a community meal, each experience has lead to new perspectives, life lessons, and a whole lot of fun. Part of what makes PICA fun are the people who live here and I feel that the program works because the people here want to work together. Just like certain mutual relationships between certain plants in the garden, here we grow together. For instance, this year we have started to expand our gardening into the C quad where a mini garden is in development. The project has created a forum where residents of the C quad plan the new garden, work together to maintain the garden, and collectively share the results! I have taken a personal interest in the mini-garden because of its proximity to my room and even though there is still work to be done, I am confident in this garden’s success because of the shared enthusiasm in the project. Just knowing that beautiful fruits and veggies will grow out of our labor makes working the plot all the more worthwhile. Working there is where I lose some stress, relax, and express myself with fellow students. It is a great chance to interact with others who share similar interests and ideas and create blooming friendships with people from the community. The constructive atmosphere that we work in is inspiring and exhilarating, and we learn and build things that you cannot in an ordinary classroom setting. 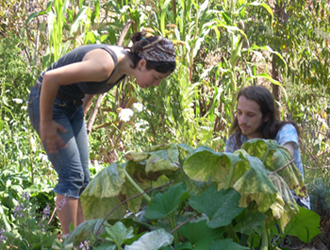 In addition to the PICA housing project in the village, the program offers the PICA seminar, a 2-credit course where students with an interest in community and agroecology come together and discuss pertinent community and sustainability issues. 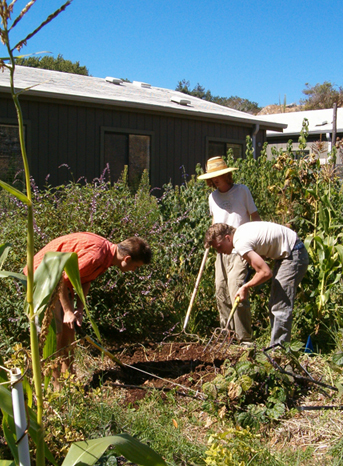 The course also teaches students some basic principles of gardening, composting, pruning, cover cropping, and dry farming, which not only gives students an understanding of where their food comes from, but provides them with a rewarding experience that they can apply and share with others throughout their lives. At the end of the daily activities, the students prepare a meal and eat together using recipes influenced by the weekly readings. The PICA seminar is also a great gateway for students to become involved in the larger Santa Cruz community through a wide variety of interesting local internships. These internships allow seminar students to share the knowledge and skills they have gained from the course with the broader community, as well as to help the community learn more approaches to sustainable living and how those approaches can benefit their communities. Participation in the Program in Community and Agroecology (PICA) has been one of the most formative experiences of my adult life. Allow me to tell a short story about where PICA once was so I can explain where it has taken me today. I began my engagement with PICA as a member of the first residential community during the 2002-2003 academic year. For me, this was a time of great internal reflection and a major turning point in my life. Prior to moving into the PICA student housing in the Village, I had lived both on campus in the Porter College dorms and off campus on the near east side of Santa Cruz. Though the community I experienced in the UCSC Porter college dorms was very fulfilling, the community structure was impermanent by design. I believe that our most direct connection with the natural world is through the food that we eat, and the impermanence of our dorm community was nowhere more apparent than in the nature of our relationship with food. Our residential dining halls were designed to feed us more as guests rather than as permanent residents. Though I appreciated the convenience of the meals at our residential dining hall, this convenience came with the cost of a great schism between my daily life and the living world that supplied me with food. 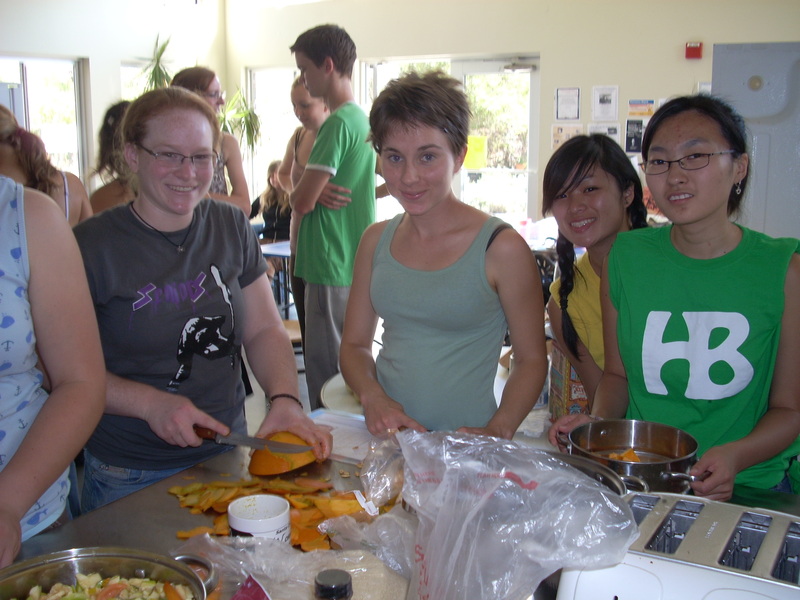 It was the desire to find greater connection with food and independence that motivated me to seek off campus housing in my third year at UCSC. During my time off campus, I lived with three good friends but the sense of community I had felt while living in campus housing was still lacking. It seemed that neither living situation could meet both my need for community and my need for independence and food autonomy. I came to PICA with the desire for an effective means of living in community like I had found in the dorms that would also allow the cultivation of independence and a sustainable relationship with the natural world. PICA was an outstanding environment to develop this lifestyle. In that first year of the PICA program, the Village housing complex was just beginning to coalesce and we had only begun to negotiate our position with the university. What just two years before had been the largely undeveloped and wild remains of a limestone quarry in a seasonal creek bed quickly transformed into student housing. The work of PICA participants and intrepid Village groundskeeper Jose Sanchez had not yet established the beautiful landscaping that now flourishes around the Village homes. 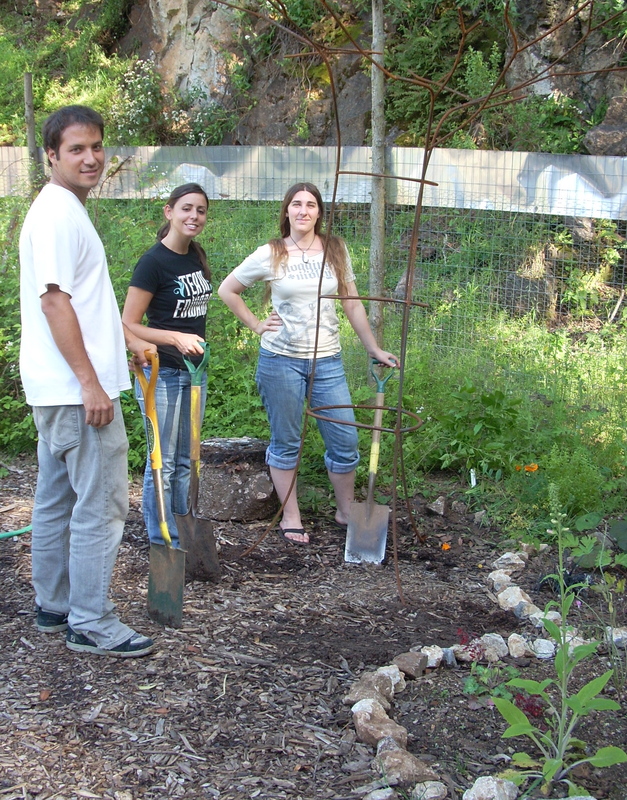 We began building the Foundational Roots garden when I moved in to PICA but our first productive gardens were located in the C and E quads of the Village housing units. Those asphalt-warmed gardens grew the most amazing Alliums! The wild qualities of our home were very apparent. During the two years I lived in the village, I shared the quarry with bobcat, coyote, many raptor species including golden eagles, and of course, the ubiquitous ground squirrels. Stories from the earliest Village residents rumored a once active mountain lion den in the sinkhole near the kitchen. A few friends even reported sighting mountain lions passing through the trees at the quarry’s edge during the dusk hours. Perhaps the most valuable experience I took away from PICA was having the opportunity to work with others to build community that was limited only by our imaginations. We built community organization as we saw fit and adapted these structures along a consensus process. Though there was much debate (as I believe there should be) over how to best live cooperatively, food and participation were always central to our common vision. 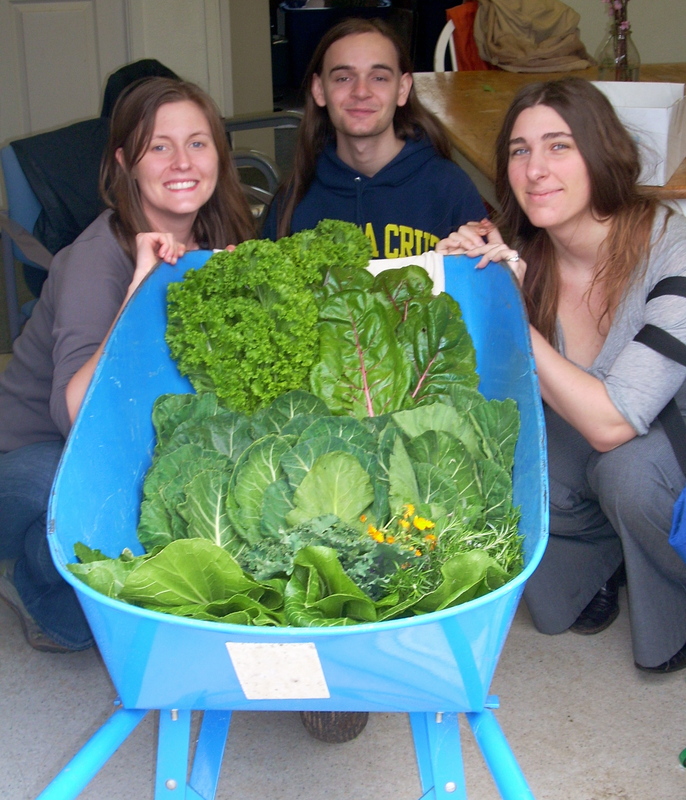 We adapted a cooperative food purchasing program to supplement our local food production. This system, along with our consensus decision-making process, is still active and happily functioning in my own household today. Having the support of the PICA program allowed me to see and experience the role that I could play in community. I was shown that I had always had the tools that I needed to affect real change in the world. In order to make that change, I only needed the support of community. My connection to the natural world first found itself in the dappled forest under-story light casting shadows across my face as my mother carried my infant form, through the forests near our home. This is one of my first memories. The ever-ascending spirals of oaks, redwood spires and the rich smell of rain in the humus framed the great agricultural swath of my home of nascence within the southern reaches of California’s Sonoma Valley. I felt a kinship with those wild places, and an influence from them as real as that of my parents in the shaping of my youth. As I grew into my life, the social and ecological realities of my home became more apparent through the years. Agriculture is the support of our lives. My years in PICA and as a student of agroecology have taught me that there is no process more salient to the continued health of natural systems and human society than the acts of agriculture and resource harvesting that we undertake as a species. It is my desire to pursue an ever-deepening understanding of the ecology of the natural systems upon which the human food production system is based. Many of the tools I have found to aid me in this process I was empowered to develop through my experience in PICA. Alija Mujic hails from the town of Sonoma, California where he grew up amongst the grapevines, hiking and camping in California’s coastal ranges. 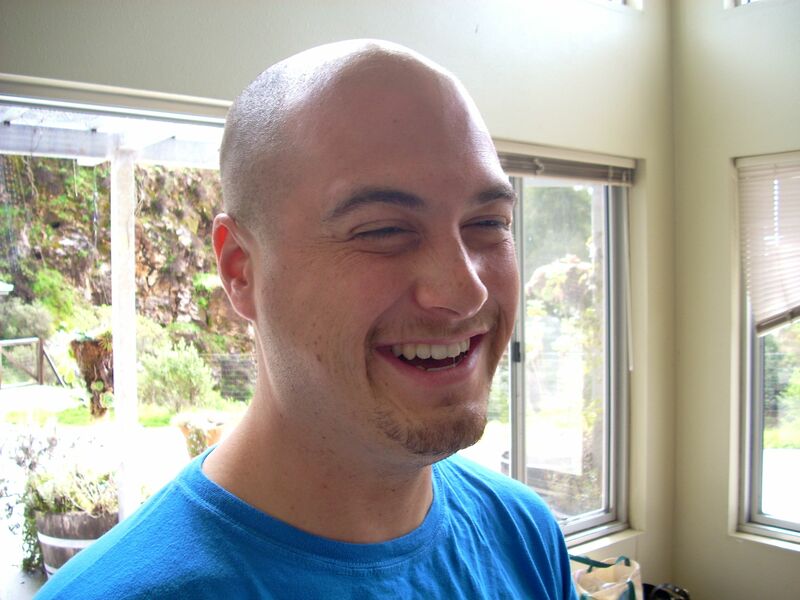 He attended UCSC from 1999 until 2004, earning his BA in Environmental Studies (Agroecology) and BS in Computer Science. 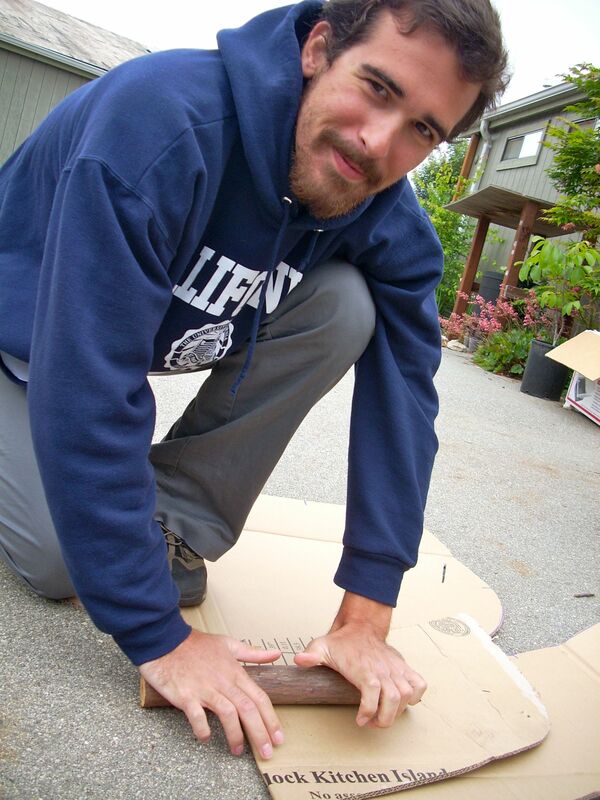 In his fourth year at UCSC, Alija became involved with PICA as a way of strengthening his ties to a sense of community while also deepening his understanding of the natural world. 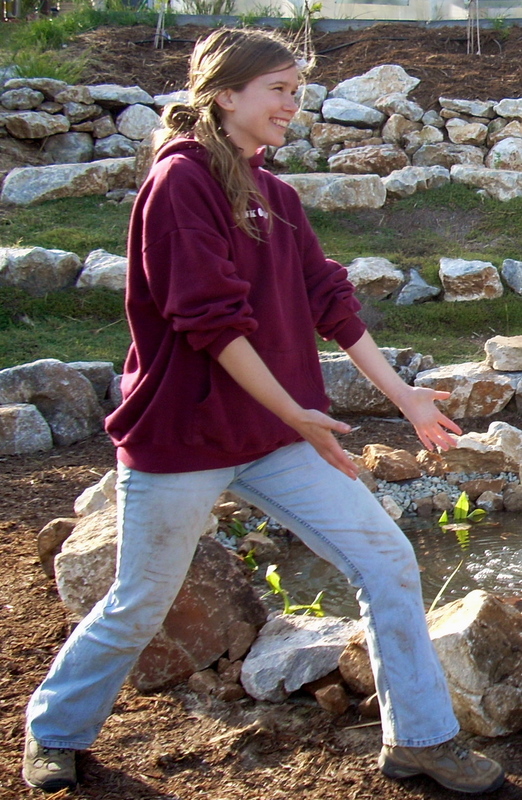 During the following two years, Alija would participate in PICA as a member of the first residential community and later served as the first PICA Garden coordinator. 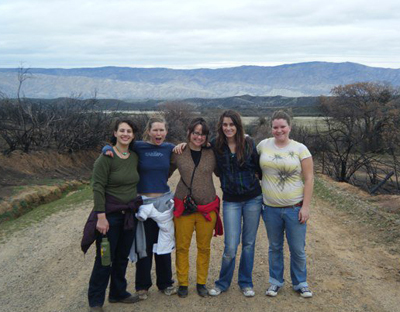 After graduating, Alija found gainful employment with Ecological Concerns Inc. dba Central Coast Wilds (CCW), an ecological restoration and consulting firm in Santa Cruz, California. 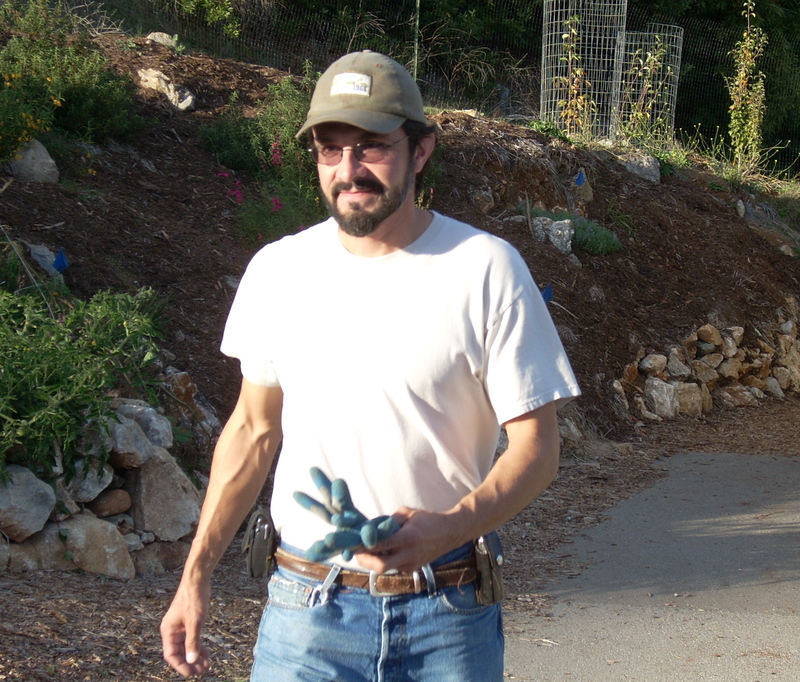 At CCW, Alija served as restoration project manager and seed collections manager, gaining a deep understanding of California native landscapes. His interests in restoration ecology and food have led Alija to the study of forest mushrooms. 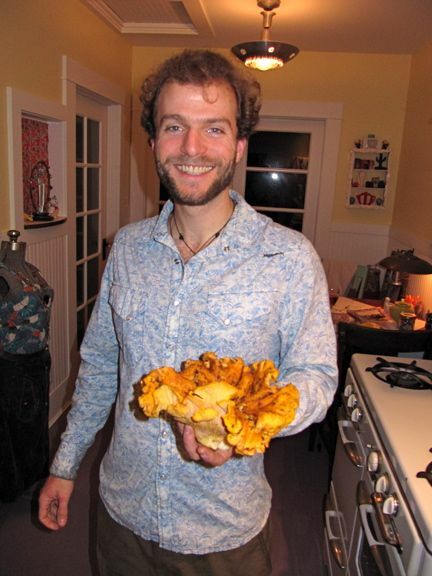 Currently, he is a mycology PhD student in the Department of Botany and Plant Pathology at Oregon State University. When not in the field collecting fungal specimens, Alija can be found working with a small community on an acre of land at the edge of town. 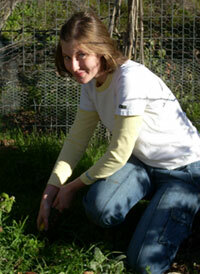 This land is shared with a cadre of chickens, large gardens and a small fruit orchard. This year is a landmark for Alija as he has, for the first time, grown enough potatoes and garlic to last him throughout the year. 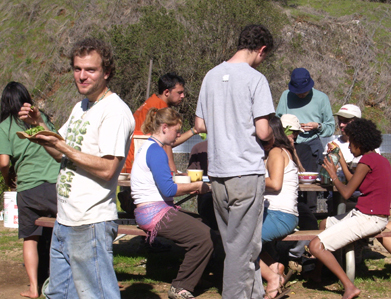 This spring as the storms subside and the sun starts shining, all of UCSC is going to blossom – including the people! Let’s take full advantage of the rising tide of energy and the natural beauty and warmth of the springtime to nourish our community and ourselves by getting together and getting outside. All of us PICAns have truly awesome seedling ideas of fun community endeavors – let’s let them blossom this spring along with our garden and the wildlife! I propose we start having bi-monthly meetings to share our idea-seeds and help each other sprout them, firmly establish their roots, and eventually harvest the good times. The weather outside will be perfect for day and night hikes, stargazing, camping trips, yoga on the beach, and, of course, sitting out on the lawn doing nothing. Our garden will be thriving with plant life – with a little planning we can make it thrive with music and people life too! The plants will be nourished by our lovely melodic sounds. 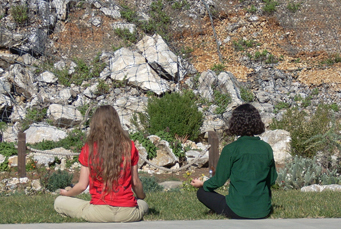 Let’s nourish ourselves as well, with yoga, breathing, and meditation. As a community that is committed to sustainable living, taking care of ourselves and releasing the stress of university life is a crucial step in being able to keep working throughout our lives to make a difference in the world. Another way of nourishing ourselves, perhaps PICA’s favorite way, is through food. We could start having nutrition-conscious potlucks where everyone brings a dish that fosters health and shares a bit about why. Lastly, we could start using our PICA residents’ email list to inform everyone in our community if, say, we are planning on going on a hike on a particular night and we would like to offer up the opportunity for others to join. Let’s awaken the sleeping beauty of PICA’s potential to become an evermore flourishing community where every day and night there’s something wonderful happening – let’s make our ideas come alive! Carpe diem! And let the sun shine! The Program In Community and Agroecology has been a slippery thing to explain to those who ask me, “So, what is PICA?” My response, never exceedingly certain, is usually, “It’s a community development program.” And from there, it blasts off into what typically becomes a pretty cool conversation in which tolerance is the anchor; such is the way of community, such is the way of sustainability. But wow, what does that word, sustainability, even mean? It’s a question that I had when I began living here a year and a half ago, and one that still has me probing around out of interest. I moved into the program after living in Portland, Oregon for almost a year, playing music and earning my living by working with coffee. I was surrounded by a city of citizens that embraced the importance of using lawn space for food space. In short, it was a city of activists. “We,” “us,” “our;” these words are easily paraded, and they kick off challenging questions for people living in large, modern societies. When societies turn “we” into an act, the overall appeal of the community definitely shows, at least in the case of Portland- it is a place where civic pride and duty yield a clean and efficient environment. What I have learned in PICA, if I was to give an answer to my own initial question, is that “we” and “me” mean the same thing in the context of a community. Maintaining awareness of the community and your place in it, something that requires discipline and compassion, is sustainable living. The many events and conversations that I have had the privilege of sharing with my peers in PICA have been invaluable. Our “Sustainability Lore” group has created a new space for doing cultural studies; the many workshops hosted by enthusiasts and experienced practitioners alike, sharing such skills as cooking and pruning, have continued to activate students’ sense of independence; the community meals, cooked by many different personalities and backgrounds, have glued this program together, while also providing economic relief to students that are trying to save money. The ritualistic kitchen parties with tea and Beckman’s bread, the nights circled around The Settlers of Catan, hikes to Pogonip, building scarecrows, working in the garden, lunch after working in the garden, the Condor’s Hope retreat, working on the Shumei farm, hunting for mushrooms, and dodging runaway bolas; these are each a different story deposited to my skull bank to be played out and re-lived in the future, most likely when I least expect it. There is no one way to define PICA, because it is as scientific as it is spiritual, social as it is ecological. The learning that I have been able to be a part of in the Lower Quarry will be with me for life, and I consider my time here to be a significant bookmark. To my peers in PICA, I extend hearty gratitude for the teaching that they have given me, as well as for their genuine interest in my own offerings. Cheers, gang.